Spray 3- to 4-quart slow cooker with cooking spray. In small bowl, mix 1 tablespoon of the mustard, 1 teaspoon of the honey, the salt, pepper and garlic powder. Spread on all sides of pork tenderloin. 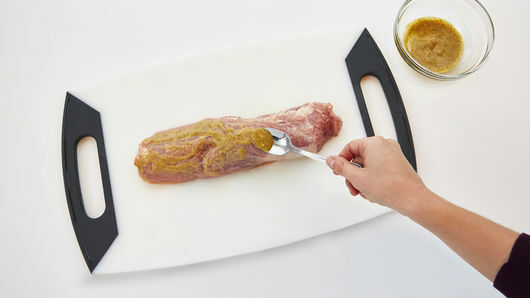 Place pork in slow cooker; cover and cook on Low heat setting 2 to 2 1/2 hours or until meat thermometer inserted in center of tenderloin reads 145°F. Remove from slow cooker; cover with foil and let stand 5 minutes. 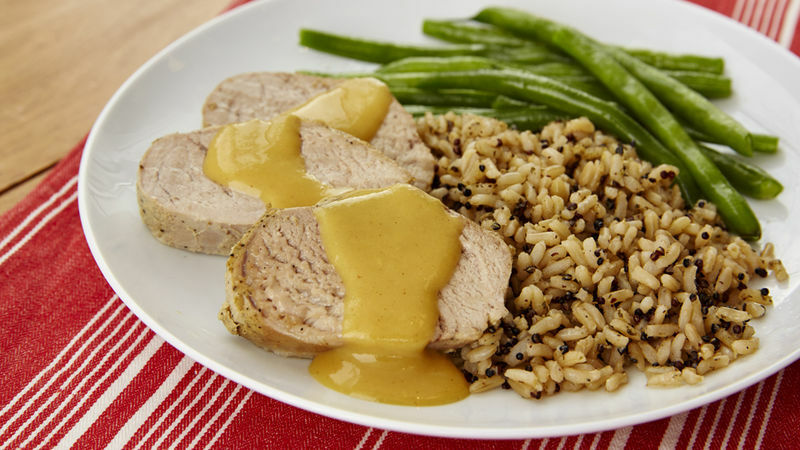 In small bowl, mix remaining 2 tablespoons mustard and 2 teaspoons honey; serve with pork. Top pork with chopped parsley. Add a side of mashed potatoes and a green vegetable to make it a meal! Pork tenderloins vary in weight, and are sometimes sold in pairs.